Eddiez Stylez party wear collection 2013 was unveiled a few days back. It contains some good traditional party wear dresses for ladies. The dresses include long shirts, churidaars and dupattas. 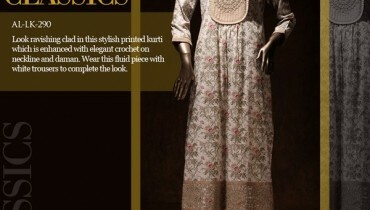 Some of the dresses in Eddiez Stylez party wear collection 2013 have trousers instead of churidaars. The shirts have nice designs embroidered on the front. The churidaars are plain and the dupattas are dyed to match with the shirts. The suits are such that they will be appropriate for younger women and older women both. So, for all those, who want great party wear dresses, Eddiez Stylez party wear collection 2013 for women is suitable. Eddiez Stylez is a recently formed brand for girls and women’s clothes and accessories. However, it offers clothes for men also. It offers fashion lines that contain elegant and trendy dresses. The stylish dresses and accessories offered by Eddiez Stylez will surely be attractive for many style conscious girls in the country. It offers men and women clothes. It also offers jewellery and handbags. The brand is online and allows you to get all your clothing needs fulfilled while shopping in the comfort of your own home. You can order the products of this brand through Facebook or email. 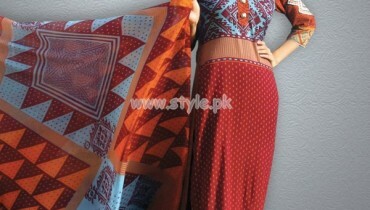 You can see pictures of Eddiez Stylez party wear collection 2013 for women below. Photography is by Eddiez Studio. The clothes in Eddiez Stylez party wear collection 2013 will be on sale from 1st February 2013. So, pre-order the dresses now if you want them. Orders can be made now. You can get details about how to order the dresses on Facebook. 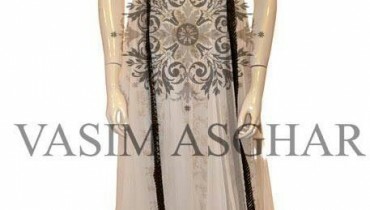 You can also get further details about the dresses there. The address of the Facebook fan page, which can provide you with all the details, is given below. Visit it if you are looking for more information about Eddiez Stylez and its products. I am a fashion lover and love to write about latest fashion trends.